It’s an interesting question, especially since we associate cats with aloofness. 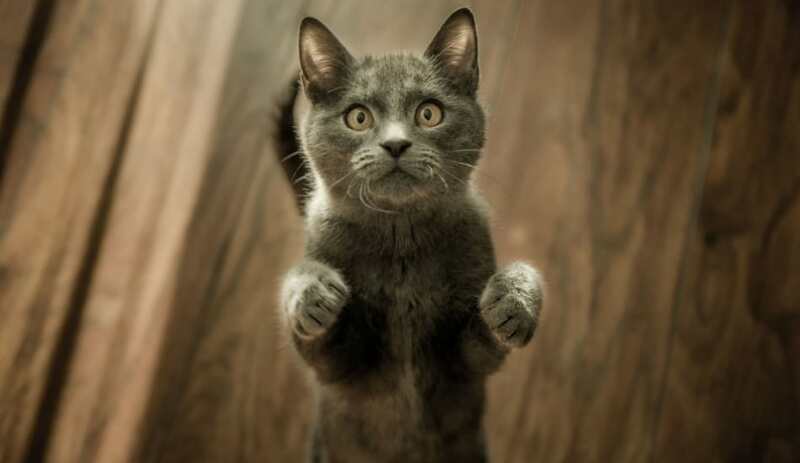 Read on to find out what it is, along with some signs that your kitty really is craving a little affection. Related ⇨⇨ Do Cats Like to Be Held? Long story short, yes, they do. Even though they often seem like they could take us or leave us, our cats really do rely on us for comfort. They feel our absence when we are gone and will let us know they are not happy. Cats absolutely bring joy and happiness to our homes so their happiness should be important to us. They are social creatures and show affection differently than dogs or humans. It is important for us to recognize signs of loneliness in our cats. We know that cats like to keep themselves well groomed. If you start to notice that your cat is excessively grooming herself she may be trying to tell you something! If your cat is developing some OCD with grooming she is probably trying to tell you she is lonely. Keep an eye out for changes in your cat’s grooming routine. Your cat probably has her own way of talking to you. You think her chatter is adorable! But if you start to hear her more often or more loudly, take note. 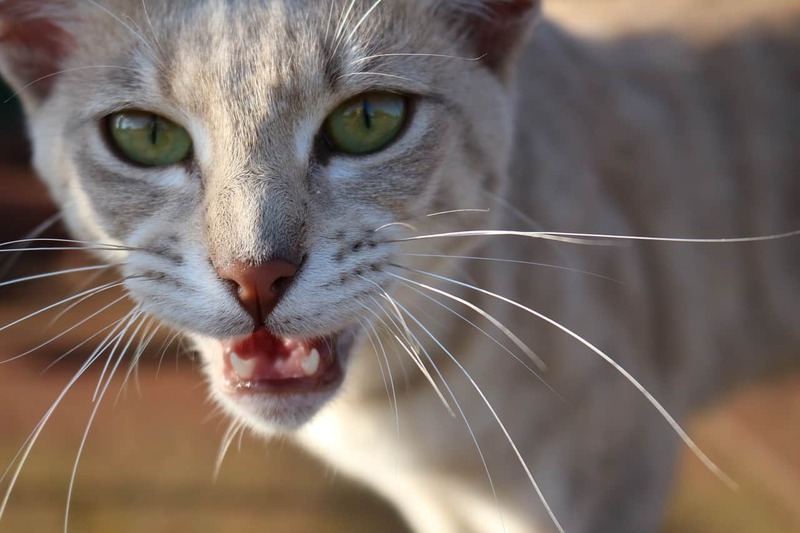 Your cat might be increasing her volume or chatting to get your attention. One of the biggest indicators that something is wrong with your cat is litter box issues. If you notice that your cat is suddenly going outside the litter box, call your vet first to rule out health issues, then think about your schedule. It is possible that your cat is feeling lonely and taking out her frustration with you by not using her litter box. Have you ever gone to kiss your kitty goodbye only to have her swipe at you? These forms of aggression could be a sign that she doesn’t want you to leave her. Your cat is simply using the tools available to her to let you know she’s lonely. If your cat is lonely being left by herself for long periods of time, she may get destructive. This is her way of letting out frustrations. Sadly your couch, drapes or toilet paper will pay the price. Your cat will scratch and claw these items as a way of releasing pent up frustration and anxiety. If your cat is lonely, she may lose her appetite. Or she may eat too much and become obese. Lethargy could also become a problem for a lonely cat. Cats crave mental and physical stimulation. A good sign that your cat is lonely is if your cat becomes clingy. 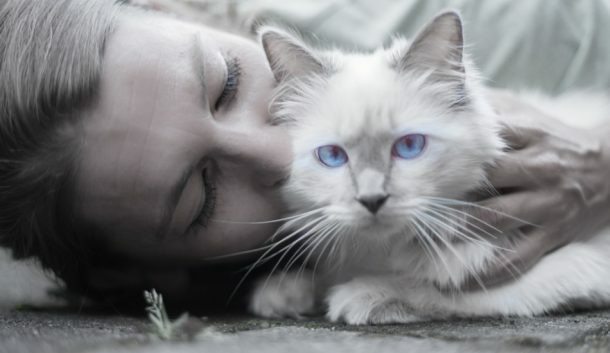 We enjoy cuddling our cats but if you notice that she is constantly in your space and not able to separate from you, that could be a sign of loneliness. We can recognize that there are several signs of loneliness in cats. The problem is that we tend to think of cats as being completely independent. This couldn’t be further from the truth. 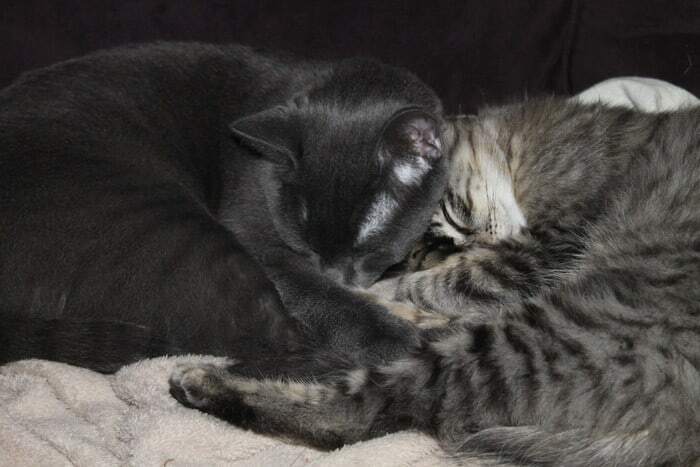 Cats, especially if they were raised with a litter of kittens, are used to being with others. To find themselves as the only cat in the household can be an adjustment for them. And if you are gone for work every day or for other extended time, it can be anxiety provoking for them. 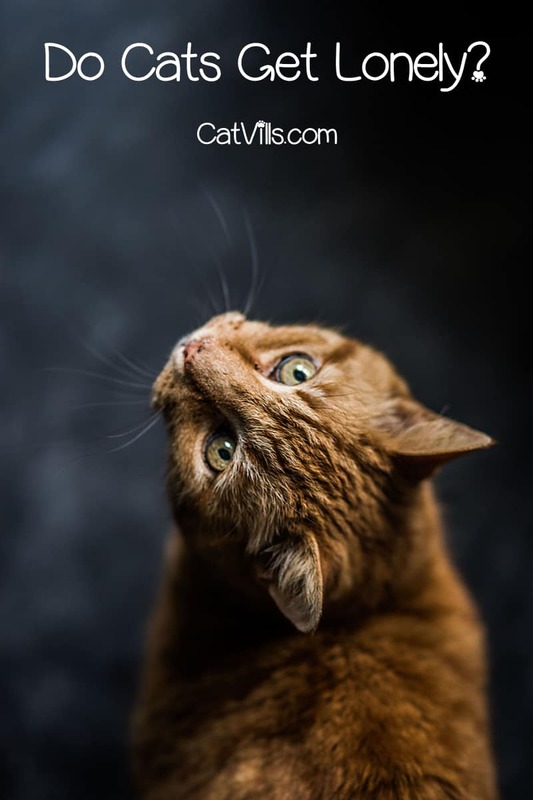 You need to look out for the signs of loneliness in your cat – excessive grooming, excessive chatter, litter box issues, aggression, destructive behavior, changes in appetite and clinginess. If you notice any of these signs you need to recognize that your cat is trying to tell you she is lonely. What can you do to help your lonely cat? The first thing you can for your cat is to look at her environment. Cats need mental stimulation as well as physical stimulation. A cat tree is a great addition to your cat’s environment. You can place it in a window and she will spend happy hours climbing and bird watching. 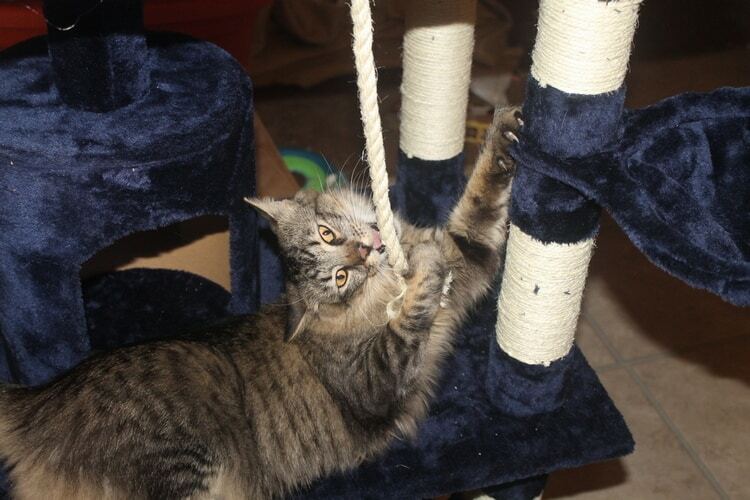 A cat tree can provide both mental and physical stimulation for your cat. Another great option for your cat is a paper bag. Cats love to explore and look in places. A paper bag will provide her with lots of entertainment. 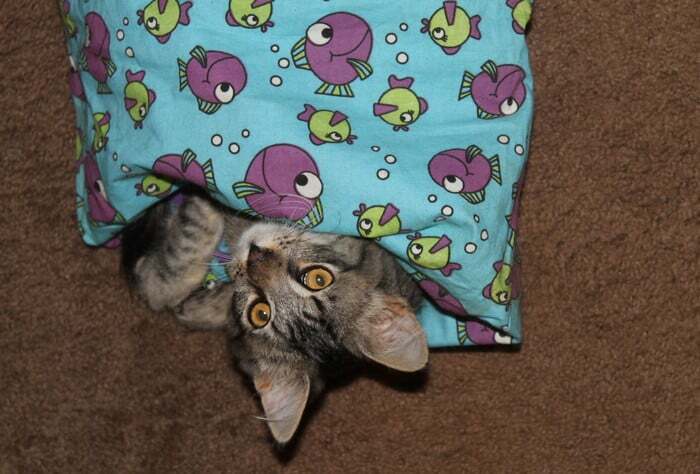 There are also bags sold in pet stores that crinkle , chirp or have cat nip in them. #3 Bring on the toys! Cats like cat toys! There are many safe options available to buy. There are toys shaped like spring coils that roll, toys shaped like mice , balls that make sounds when they roll and . Get your cat several different types and leave them in different rooms of the house. #4 Get them a pal! You might want to consider getting another cat! This way they would be playmates and roommates. So do cats get lonely? They absolutely do. Take the time to listen to your cat and you will both have many happy years together. Do your cats get lonely? Share your experiences and tips for helping them feel loved below! I have a friend with a cat that has severe separation anxiety. Before her cat, I thought that cats were just sort of “meh” about people. This is amazing. I’ve had my cat for over 15 years but i had no idea that cats get lonely. Thank you so much for the post, LOVE IT. I never realized cats were so emotional until I had a baby and my cat got so depressed that she had to go and live with my sister. Such a sad time, but cats truly feel emotion regardless of what their facade may portray! This is a really helpful guide, I didn’t realise that all of those signs could be a sign that they’re feeling lonely. I hadn’t thought about it before, but I am now! zWe will be on a three-week trip later this year. Our rescue cat needs lots of affection. Is it possible for us to bring him with us? We will be traveling in a van. This was a nice information about cats behaviour and some of us really don’t know more about it. I will definitely share this with my mom. I have 3 cats. I never knew that becoming clingy can be a reason that they are sad. Oh absolutely I believe so. I don’t have a cat but I know my little doggie hates being left alone. I’m sure cats feel the same way. Interesting read and great post! aww this is sweet. we have two cats and they definitely regularly need attention. I have been curious as well about this and they def. do get lonely. My aunt’s cat gets super clingy. Such an interesting post. I didn’t realise this about cats.